Ever want to mail someone a CD or DVD, but didn't have an envelope handy? You can make one from an 8½” x 11” sheet of paper, using this template! There are three downloads – the first is portable and can be printed just about anywhere, and is probably what you want. The second is editable, in case you want to customize it for your own use (maybe add a preprinted return address?). You'll need OpenOffice Draw (it's free) to edit it. The third is an example of such a customization. Cut out the template. 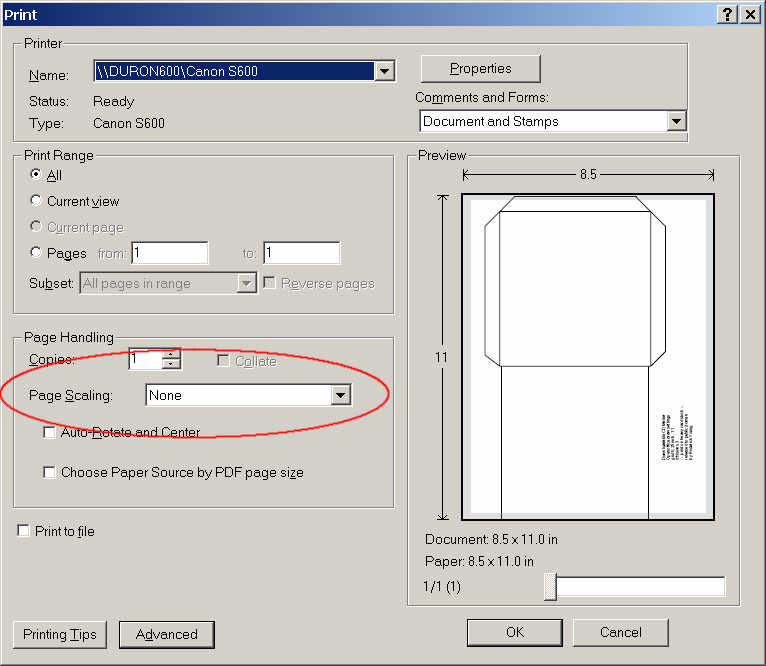 If your printer didn't print to the edge of the sheet, extend the cuts all the way to the edge. Score all the dashed lines if possible. Fold back the two side tabs. Put some glue on the side tabs. Try not to get glue anywhere except the tabs. Fold the back over and press down. Wait for the glue to dry. If you use glue stick, you can proceed to the next step without waiting. Insert your CD or DVD. Apply glue to the top tab, and fold it over to seal. Address, stamp, and mail! You'll probably need extra postage (2nd ounce).